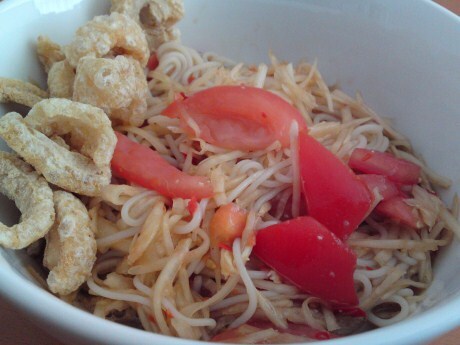 Starting the week off right with Lao food to sooth my soul. 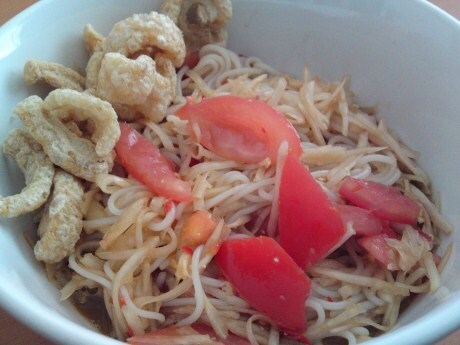 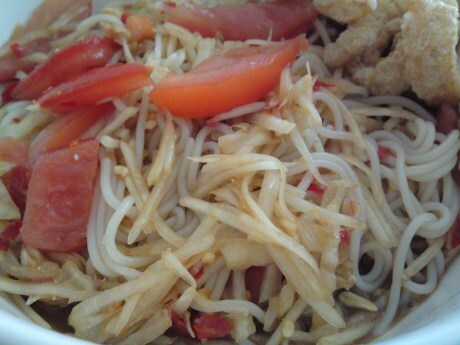 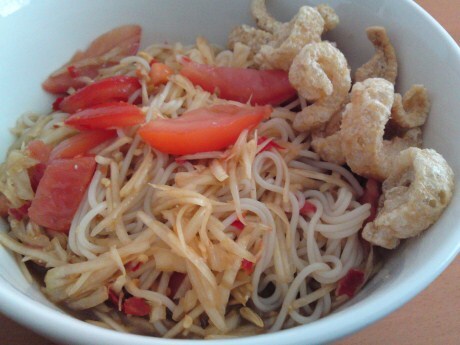 The dish is no other than green papaya salad with rice noodle. 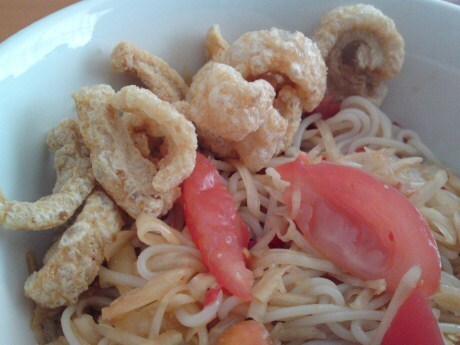 I still have enough left of kiep moo or pork rinds to add to the meal.